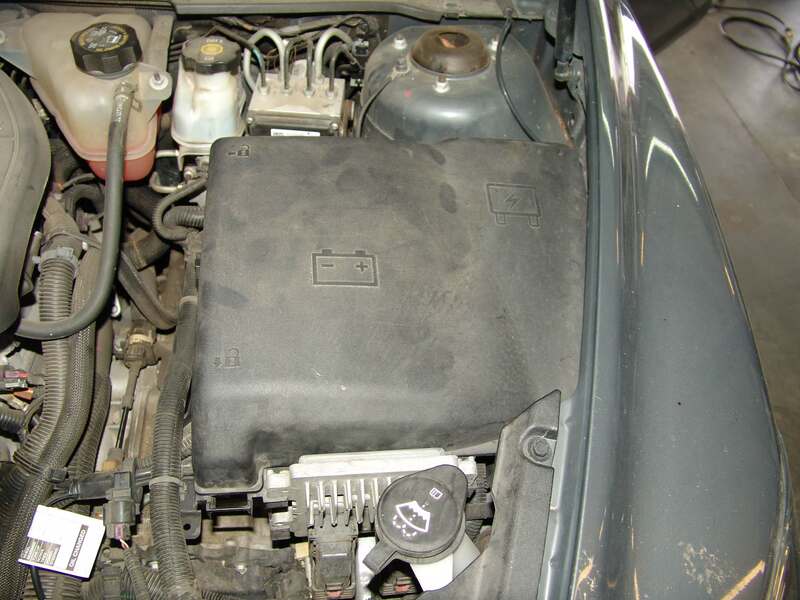 This 2009 Chevrolet Malibu came in with the complaint that the a/c controls did not work and the whole system was dead. No blower and no compressor engagement. 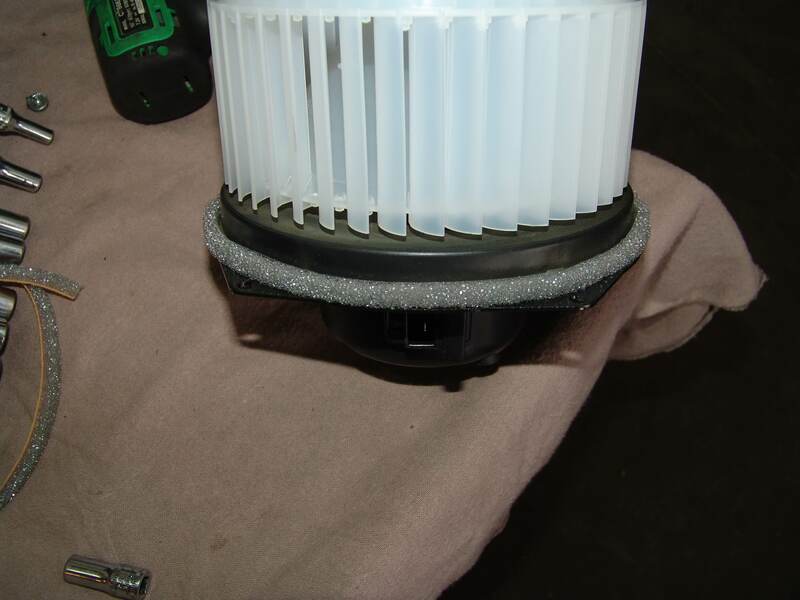 The customer had already bought and installed a new HVAC control head assembly to no avail. Not only did the compressor and blower not work but none of the lights on the control panel would light up either. 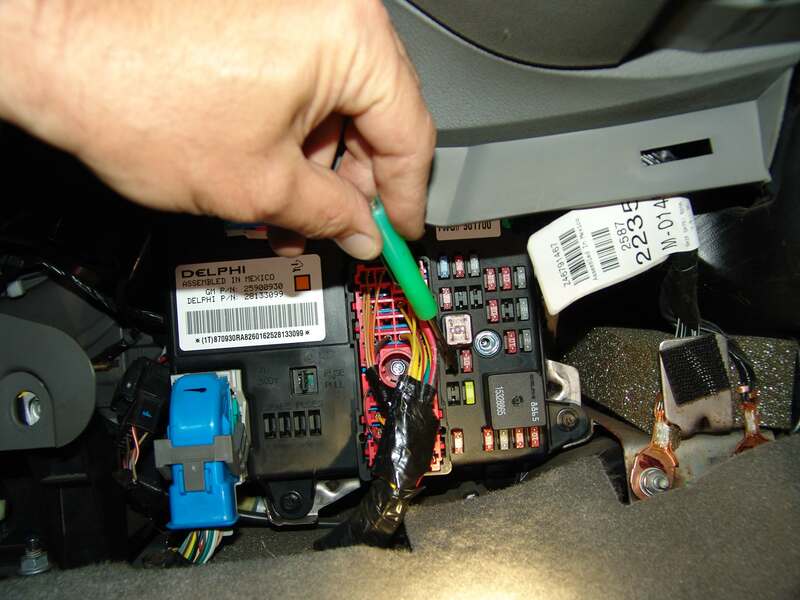 As always I started by looking at the system wiring diagram and determined the best place to start testing was at the interior fuse box located behind the center console side panel on the passenger side of the car. 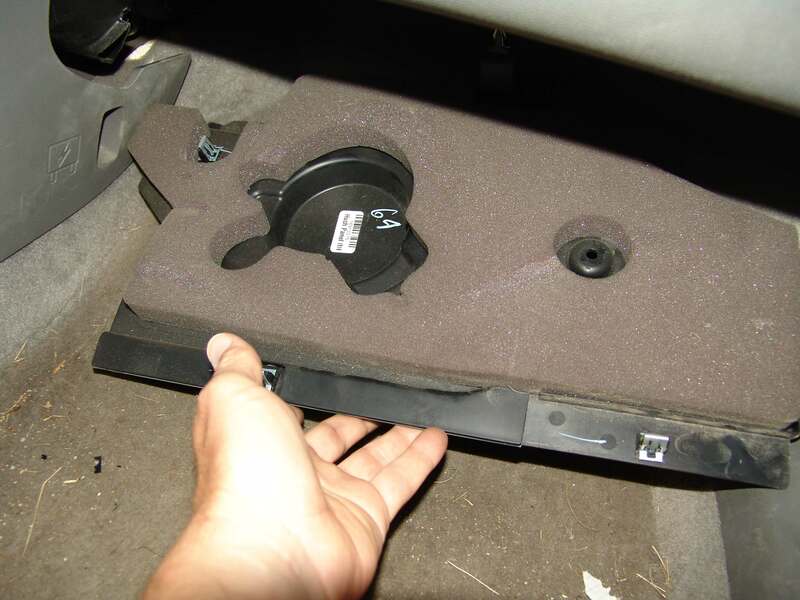 I started at the front edge and pulled it loose from the center console and then worked my way rearward. 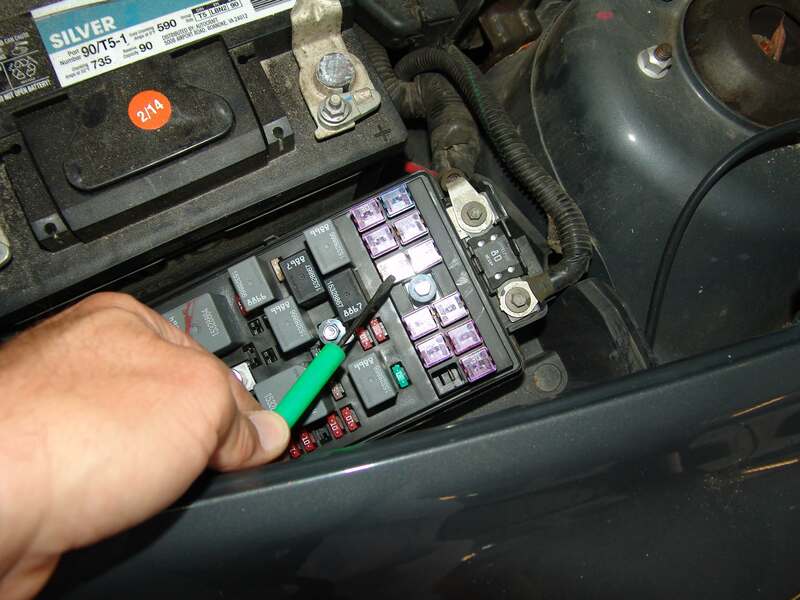 In the next picture I am pointing to the two fuses that should have had power on them with the ignition on. 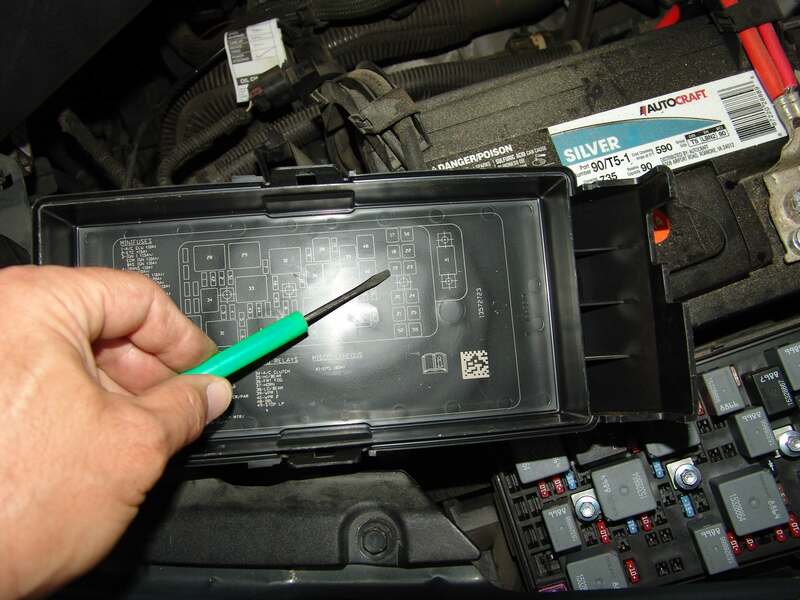 Since there was no ignition power on the 10 or 20 amp HVAC fuses above, I moved my attention to the underhood fuse box. 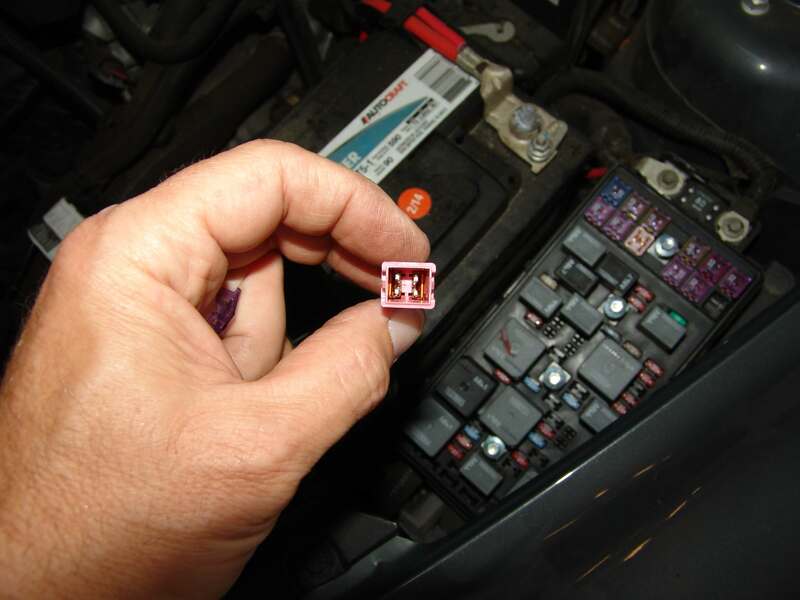 Once the covers were removed I located the position of the run relay fuse #19. I inspected the fuse and determined that it was blown. I had to remove the translucent cover to expose the fuse element so that you could see it in a picture. I replaced the fuse and turned the system on. Everything lit up and the blower motor came on for a few seconds. The blower motor was noisy and the fuse blew again. Suspecting a shorted blower motor I disconnected the wiring harness to the blower motor and replaced the fuse again. Everything worked except the blower motor. I connected the blower motor while the system was still on and the fuse blew one more time. Keep in mind that I use a special inline fuse holder that uses $0.25 fuses for testing. 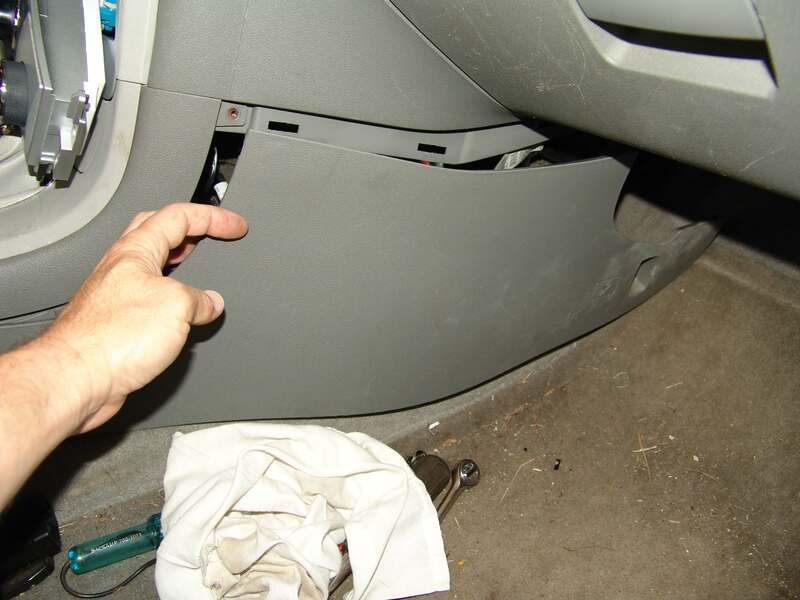 To access the blower motor the panel under the passenger side of the dash need to be removed. It just pulls down. 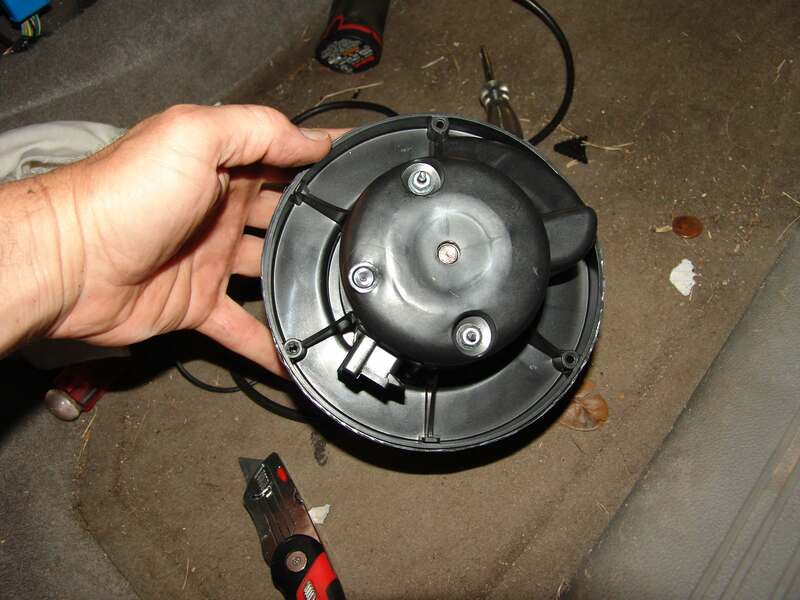 The blower motor does not simply unbolt and remove from the vehicle if it is the original to the car. 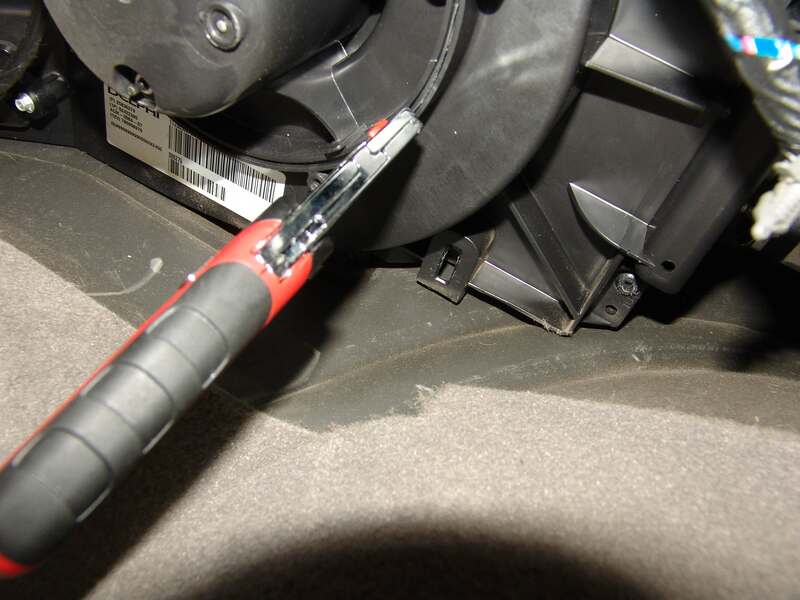 Instead a utility knife is needed to cut along the seam so that the blower motor assembly can be cut out of the vehicle. You should notice that there are two rings and the knife blade needs to be inserted between the two rings. 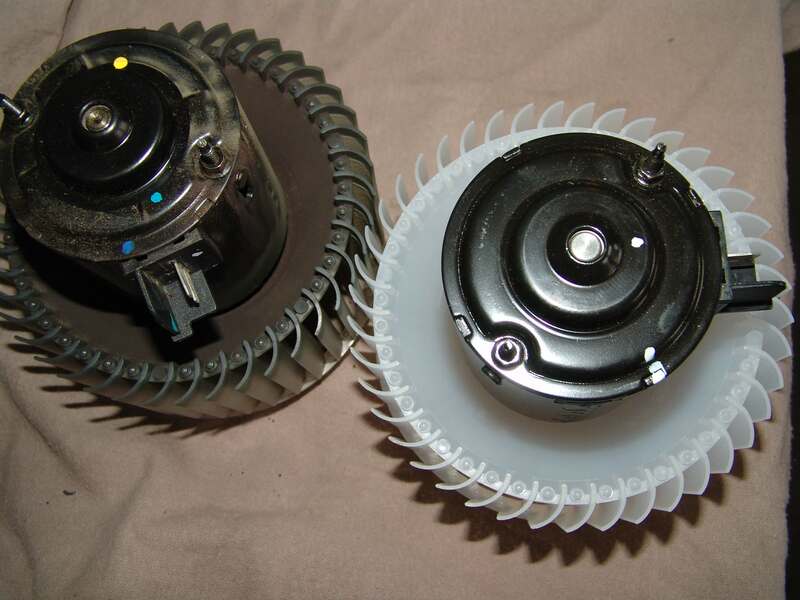 This is what the blower motor assembly looks like once it is cut out of the hvac case. 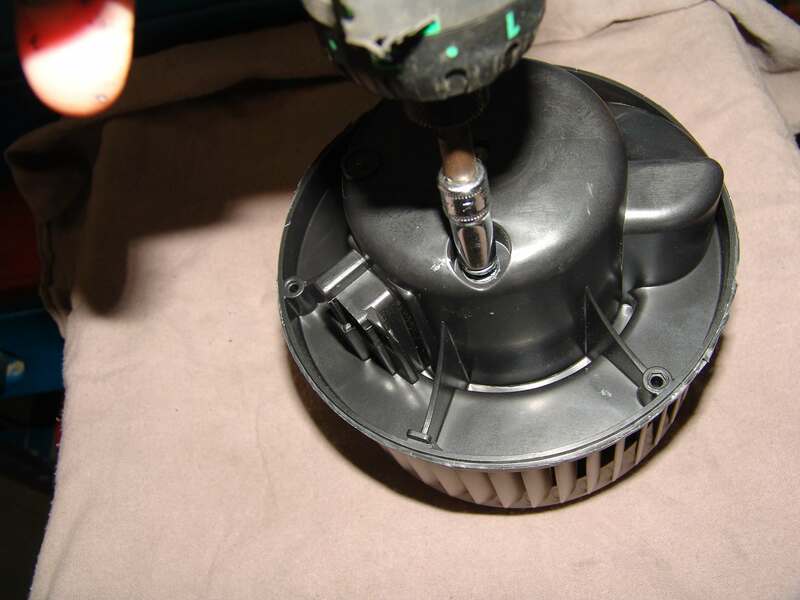 Now that the motor is out the two attaching nuts can be removed and the black plastic housing can be removed from the motor insert. 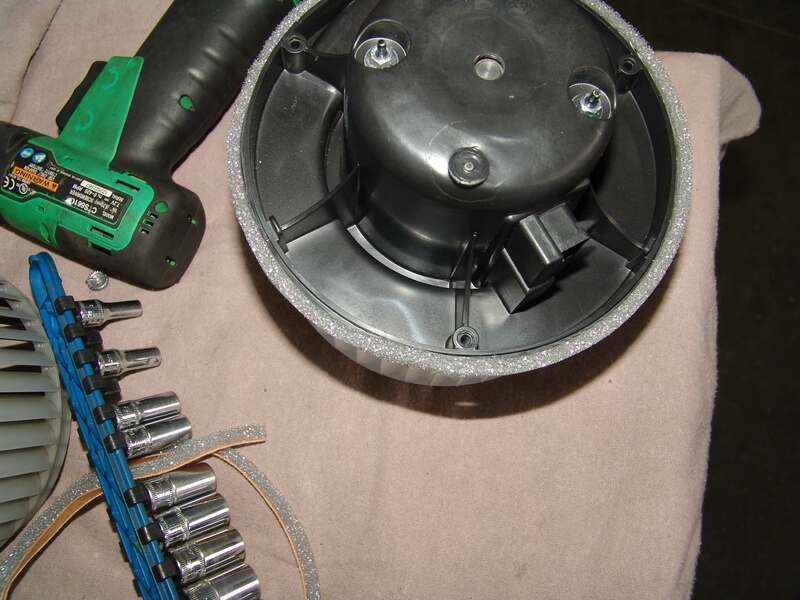 It is very important to not damage or lose that housing as it is needed to install the new motor. The new motor on the right and the old motor on the left. 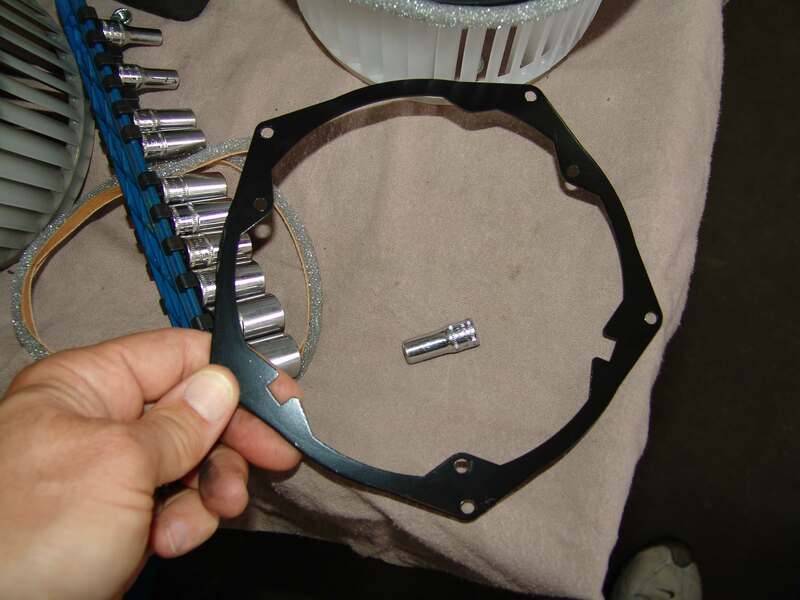 This mounting flange and several screws and strips of sealing foam come in the kit. The foam installed on the new blower motor assembly. The directions did not state in which position to place the foam. The position I chose seemed to work just fine. There are two strips that come in the kit. 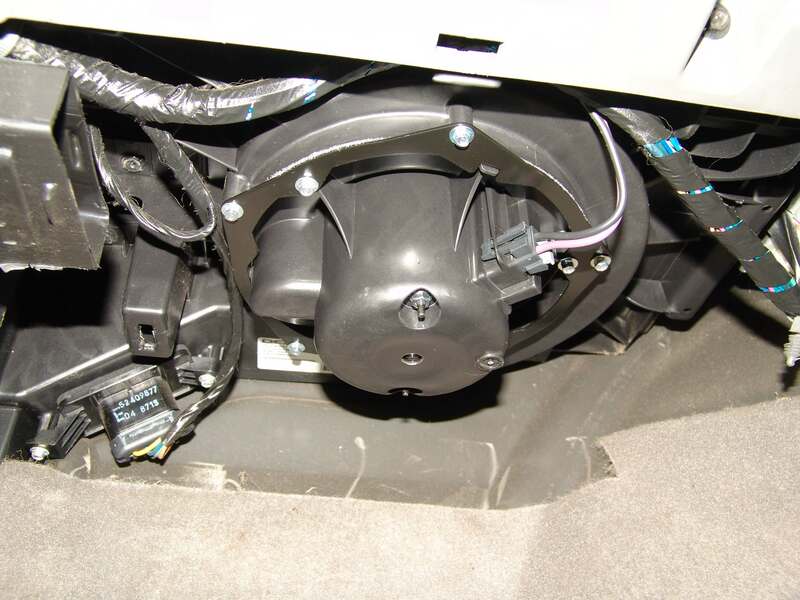 It is a little hard to see in the next picture but I did install the flange ring to the blower motor assembly before installing it into the vehicle. The new assembly installed and working properly. 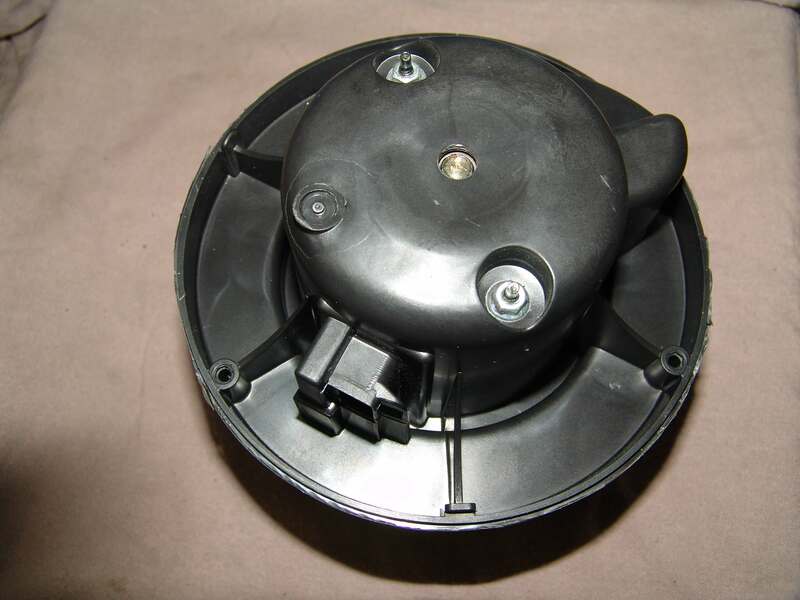 Once the flange kit has been installed it will not need to be purchased again if the blower motor ever needs replacing. The blower speed resistor is just to the left and towards the firewall in the next picture. The next step would be to check power, ground and communication signals at the harness connected to the HVAC control head assembly. You would need a wiring diagram, multimeter and familiarity with using both.